Fun Fairy Tale Jigsaw Puzzles for children. These puzzles include pictures of everyone's favorite fairy tale characters that are visiting a magic hospital. These famous characters include Frosty the Snowman and the Gingerbread Man. With special hints and three levels of difficulty, children of every age can enjoy the game. Ages 3-11. Battle your way through 40 mind twisting puzzles in an attempt to rescue Selena's parents from the clutches of the evil android, SETH. Strain your brain against 4 styles of play - story mode, match mode (try to keep up with SETH! ), timed mode and practice. With a tutorial built right into the game, you won't waste any time getting up to speed and going after SETH! Can you match wits with an android? Let's find out! Search long-lost treasures in pitch black caves, pyramids and dark tombs of ancient temples. Huge gemstones were sheltered from the sunshine for eons of time waiting for those who are brave. 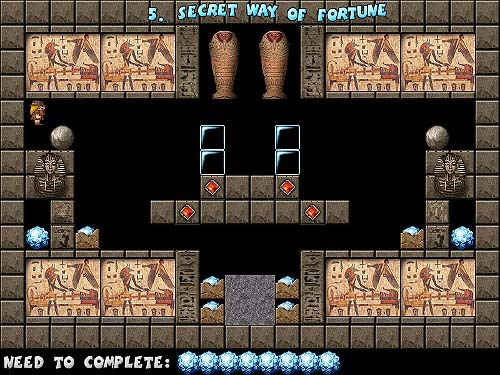 You as an intrepid tomb seeker must resolve puzzles of pharaohs, fight kings and show courage in many adventures to get them all. This is a FREE Asteroids game download, so be sure and tell your friends to stop on by and download Asteroids. The scores on this game allow you to play Asteroids online against your friends. See who can get the high score. Playing free Asteroids is fun for all ages. We would like to thank those who created original Asteroids game. This is a FREE Pac-Man game download, so be sure and tell your friends to stop on by and download Pac-Man. The scores on this game allow you to play Pac-Man online against your friends. See who can get the high score. Playing free pacman is fun for all ages. We would like to thank those who created original pacman game. 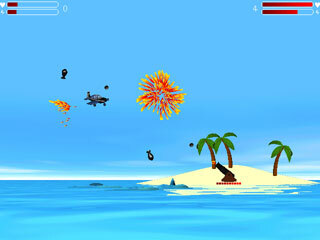 This is a FREE Snake game download, so be sure and tell your friends to stop on by and download Snake. The scores on this game allow you to play Snake online against your friends. See who can get the high score. Playing free Snake is fun for all ages. We would like to thank those who created original Snake game. This is a FREE Tetris game download, so be sure and tell your friends to stop on by and download Tetris. The scores on this game allow you to play Tetris online against your friends. See who can get the high score. Playing free Tetris is fun for all ages. We would like to thank those who created original Tetris game. Dr.Germ is looking for a new assistant! Are you up to the task? Experiment with germeology in 4 separate game types to earn science awards. Work your way up the medical ladder and take your place beside Dr.Germ as one of the greatest germeologists of all time! Want to exercise your memory a bit? Want to have fun at the same time? Then this game is for you! Kristanix Memory Puzzle presents you with a board of cards, all facing down. You open two and two cards, trying to find matching pairs. The less cards you need to open, the more points you will get. Features over 70 full color cards for you to play with. Get your daily dose of action, adventure, and puzzle solving with this unique game. Awarded Billboard's Web/Downloadable Game of the Year, Shroomz mixes a fairytale storyline with exciting puzzle game play. Guide your heroine, Bashful, through a mystical underworld to rescue her lost puppy. With many explorable levels, exciting twists, and beautiful graphics, this game will enchant and electrify you. Relax and have fun with Brickster! Break your way through 100 colorful fun-filled levels, with 16 unique powerups to aid you in your quest. Freeze unbreakable bricks to easily destroy them, and blast away bricks with the dual blaster paddle. But watch out for wormholes, which will warp your ball across the screen! Brickster can be played at three difficulty levels making it fun and enjoyable for newcomers and advanced players alike. Project Zeus is the name of the ultimate attack fighter. Use it to destroy enemy ships, asteroids, and mines in both space and over land. Along the way, upgrade your ship by adding new weapons from the weapons shop. The demo version lets you play the first 5 levels. Purchase the full version, and you can play all 24 levels.